The beautiful village of Assisi is one of the most important places to see in Umbria. See the places of San Francesco, look for a city full of art and masterpieces …. 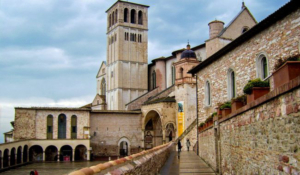 Assisi with its basilicas and its treasures, it will always be a surprise! Near Assisi and Foligno is the charming village of Spello, a city of Roman origin still surrounded by its ancient walls and perfectly preserved portals. 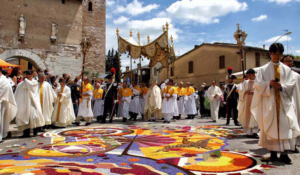 Spello is pleasant to visit throughout the year, but it is between May and June that is colored for the Infiorata of Corpus Domini. The streets are transformed into an immense carpet of flowers, which are used to compose real works of art. Foligno is another of the places to visit in Umbria. A city with an illustrious past, it was dominated by the Papal State and today it preserves important medieval churches such as the cathedral of San Feliciano and the Abbey of Sassovivo, but also historic buildings such as Palazzo Trinci and Palazzo Orfini. 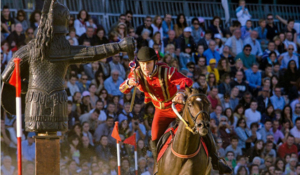 Those who love medieval reenactments can also attend the famous Quintana, one of the most important chivalrous rides in Italy. The small villages and towns of medieval origin are a real treasure for Umbria because they contribute to pass on the tradition of flourishing craftsmanship. 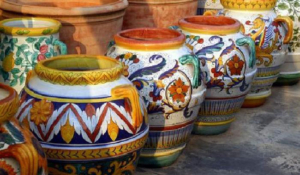 The product par excellence of the Umbrian hills is ceramics, with the majolica of Gubbio and the cities of Deruta and Orvieto, but there are also masters in the processing of wood, wrought iron, fabrics and precious metals.